Ideal for mobile storage in the kitchen. Advanced super clasp lid design makes it easy to scoop ingredients without removing the entire cover. Clear, see through plastic front cover makes it simple to identify the ingredients while keeping foods fresh longer. 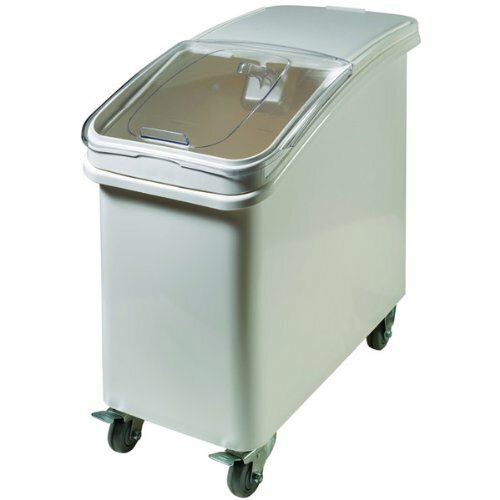 3" caster wheels with brakes make this bin a breeze to move from one kitchen work are to another. Scoop handle designed to remain out of food to prevent contamination.